Is Pro Wrestling Rob Gronkowski's Next Endeavor? What's Next for Rob Gronkowski? Rob Gronkowski seems to have no shortage of suitors for his post-NFL career, ranging from wrestling to acting and beyond. There's no shortage of speculation about what Rob Gronkowski will do now that he says he’s retired from the NFL. Could pro wrestling be atop the to-do list for Gronk? Fans in the area seem to think so. 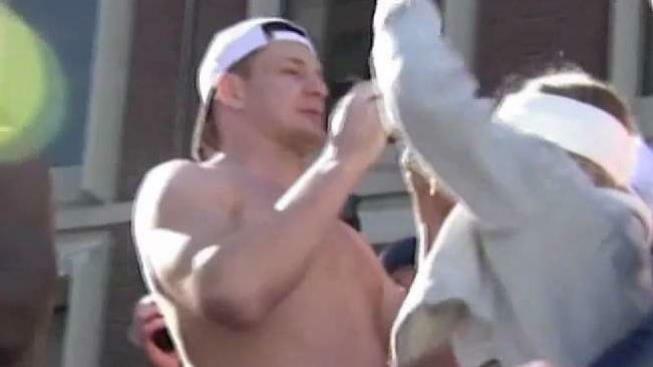 “Gronk, if you’re watching this, if you want to go into the WWE you got a whole bunch of fans right here,” shouted one group outside of the TD Garden. WWE’s Monday Night Raw event will be held there tonight. His agent alluding to a future in TV and endorsements; whatever it is don’t count the big man out. 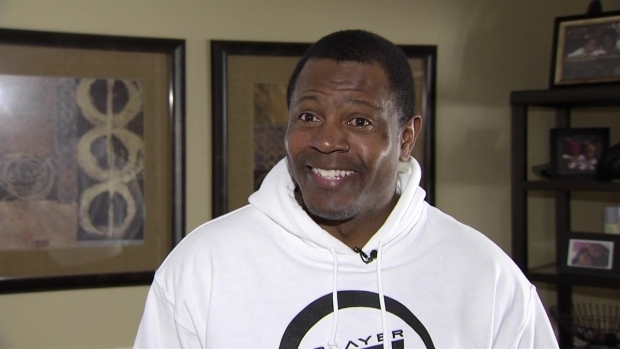 Former Patriots star Troy Brown comments on tight end Rob Gronkowski's retirement, calling him the, "greatest to play that position." “I feel like he put on a great show for wrestling,” says admitted Miami Dolphins fan, Ashley Cunningham of Waltham. “He’s a pretty entertaining guy so I think he’ll be successful at whatever he does,” says Dave Gettleman, the owner of Spike’s Junkyard Dogs in Brighton. A lot of people are comparing Gronk to The Rock - a former WWE superstar who is now a movie actor. His agent, Drew Rosenhaus, has alluded to a future in TV and endorsements. Whatever it is, don’t count the big man out. “His personality is too big for him to not be, like, on TV or be in the public eye,” says Devon Ware of Brighton. The casting directors at Boston Casting agree. “Wouldn’t that be amazing? If we had Gronk here to put in movies and commercials?” asks Lisa Lobel, a casting director with Boston Casting in Allston. They see actors everyday and say Gronk has what it takes. And he’s got experience in commercials, including a campaign for Dunkin’ Donuts. “Gronk is a fun guy, he made a lot of people get iced coffee,” says casting director Heather Whitty. The experts say he could use some formal training, but even other actors agree he’s got the basics. “He definitely has the personality, he has the grit, he has the energy,” says actor Kayla Caulfield. “It's just being yourself, that’s all it is. And then just believing about what you’re doing at that moment, which he can do certainly,” says actor Osmani Rodriguez. And experience on any given Sunday ... including multiple trips to the biggest show - the Super Bowl - don’t hurt.